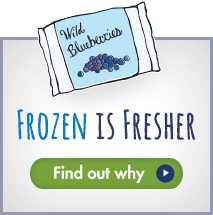 A new British study published today in the European Journal Of Nutrition reveals that when children consume wild blueberries they show greater memory and better concentration. This study, led by Professor Claire Williams, from the School of Psychology & Clinical Language Sciences at the University of Reading, is the first detailed examination of the effects of wild blueberries on cognition in children using multiple doses and test sessions. During this evolution of food, there is one tiny fruit superstar that is bucking the blandification trend. While many of the foods grown today are getting bigger and blander, Wild Blueberries have stayed small and bursting with flavor.